Looks like Will.i.am isn’t the only celebrity dabbling in clothing made from post-consumer materials. Following on the heels of the hip-hop artist’s “Eckocycle” range of recycled men’s suits, Oscar-winning actress Gwyneth Paltrow is teaming up with Ecoalf to debut two limited-edition pieces for her Goop lifestyle brand. The first, a twist on Ecoalf’s quilted “Oslo” backpack, is derived from discarded fishing nets. The second, the “St. 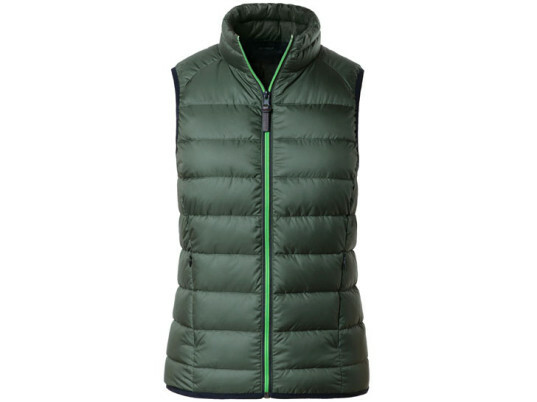 Moritz” puffer vest, comprises 100 percent recycled plastic bottles. The partnership began when Paltrow spied a a black nylon Ecoalf backpack on a friend at a dinner party in London. Paltrow rang up Javier Goyeneche, Ecoalf’s founder and CEO, to put her own stamp on the brand’s wares, including lime-green zippers for a bold kick of color. The partnership began when Paltrow spied a a black nylon Ecoalf backpack on a friend. Despite the eco-friendly provenance of the Goop store’s latest additions, we’re not sure Paltrow’s BFF, designer Stella McCartney, would entirely approve. The sticking points? The backpack uses leather straps—McCartney is vocally opposed to animal hide of any kind—while the vest is insulated with down feathers. Looks like Will.i.am isn't the only celebrity dabbling in clothing made from post-consumer materials. Following on the heels of the hip-hop artist's "Eckocycle" range of recycled men's suits, Oscar-winning actress Gwyneth Paltrow is teaming up with Ecoalf to debut two limited-edition pieces for her Goop lifestyle brand. 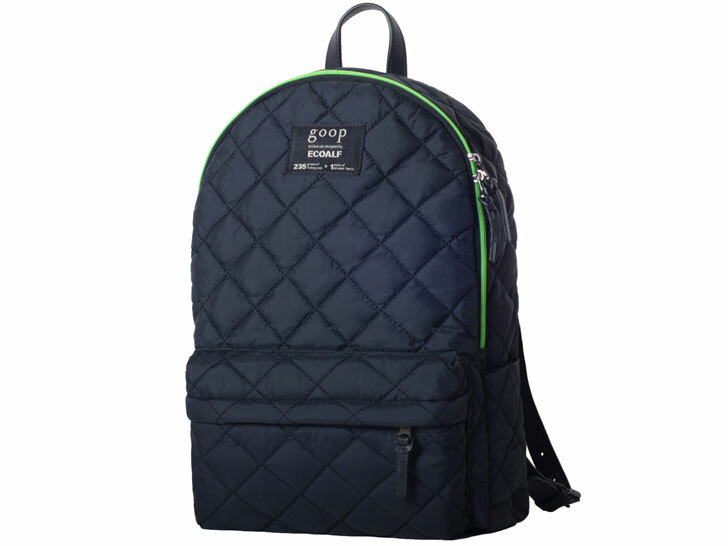 The first, a twist on Ecoalf's quilted "Oslo" backpack, is derived from discarded fishing nets. The second, the "St. Moritz" puffer vest, comprises 100 percent recycled plastic bottles.